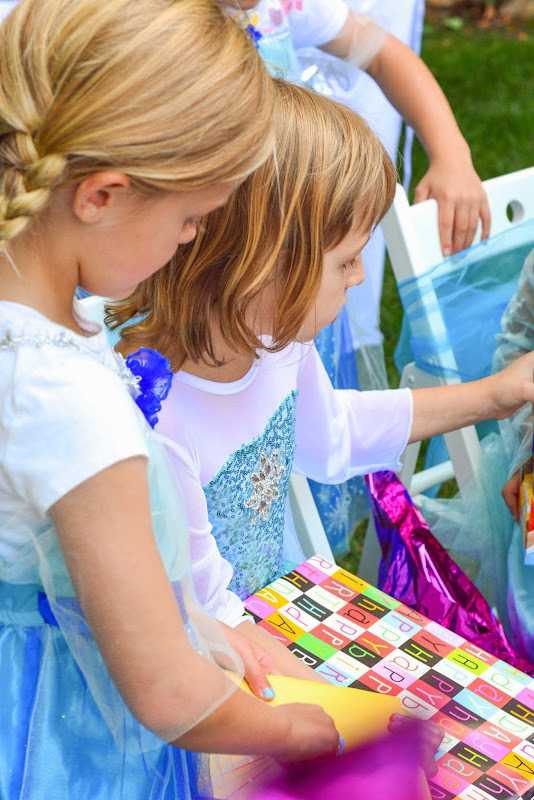 Update: I'm selling my carefully curated supplies for this birthday party on eBay right now. 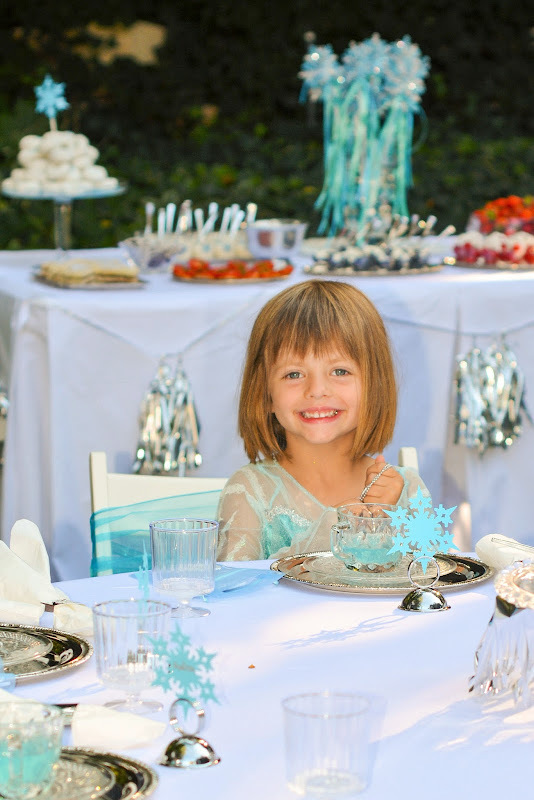 You can find a listing for party supplies for 8 guests and a deluxe set of supplies for 10 guests. 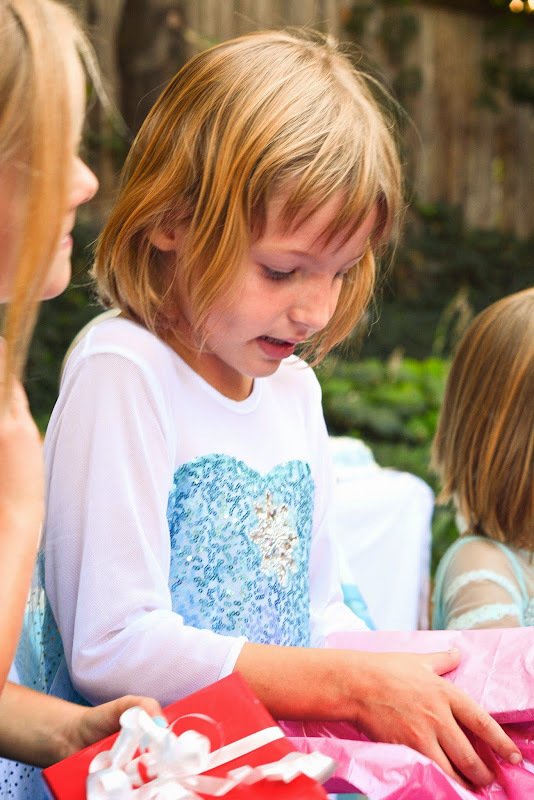 One of the amazing things about children is that they arrive with their own personalities. 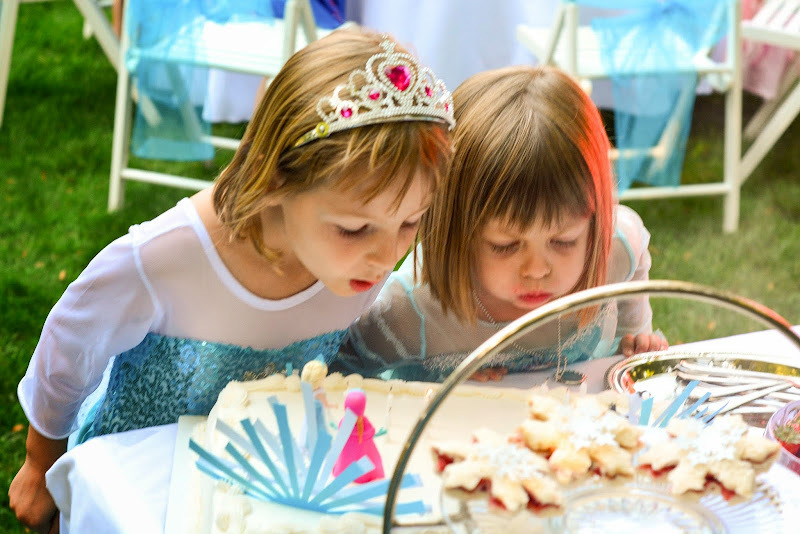 While these two seemed intent on imitating their older sister with all of her likes and dislikes they are now comfortable admitting that they love princesses and all things "girly." In fact, they now remind me at times, "Mom, remember I'm a girly girl?" If they are embracing that side, then I thought I would embrace it for them too. 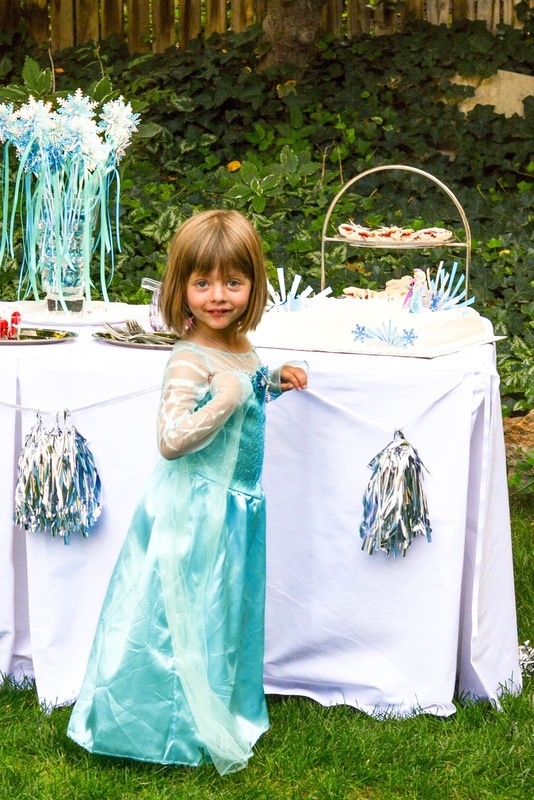 Despite my lack of enthusiasm for character parties I decided I would give them a Frozen party with no reservations. 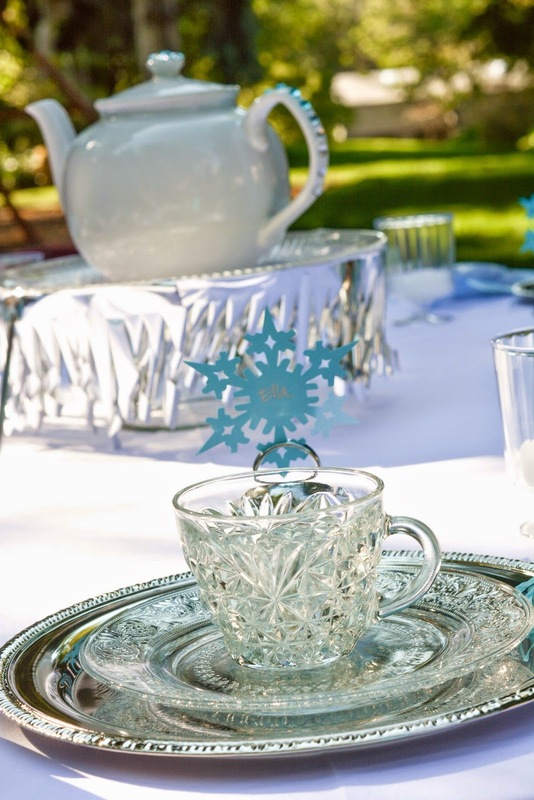 So I took the Snow Queen theme and added "tea party" to it. 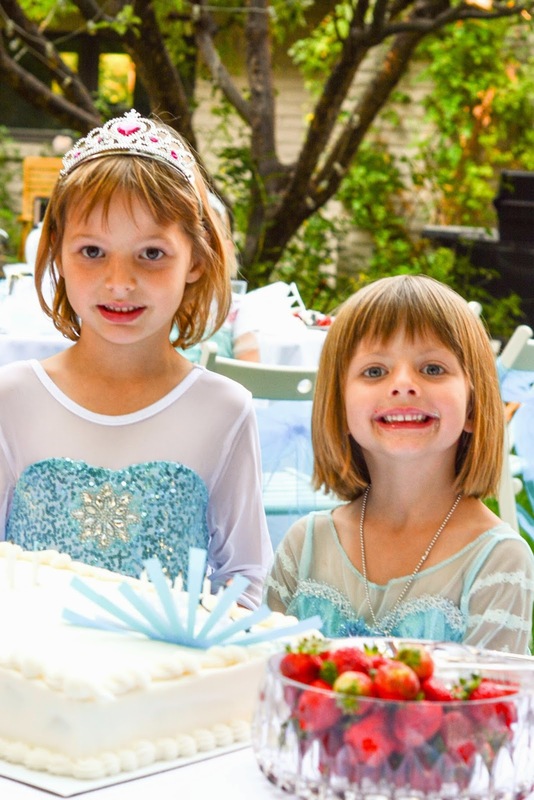 Because what could be better than a princess tea party for a couple "girly girls"? Oh, we had so much fun! 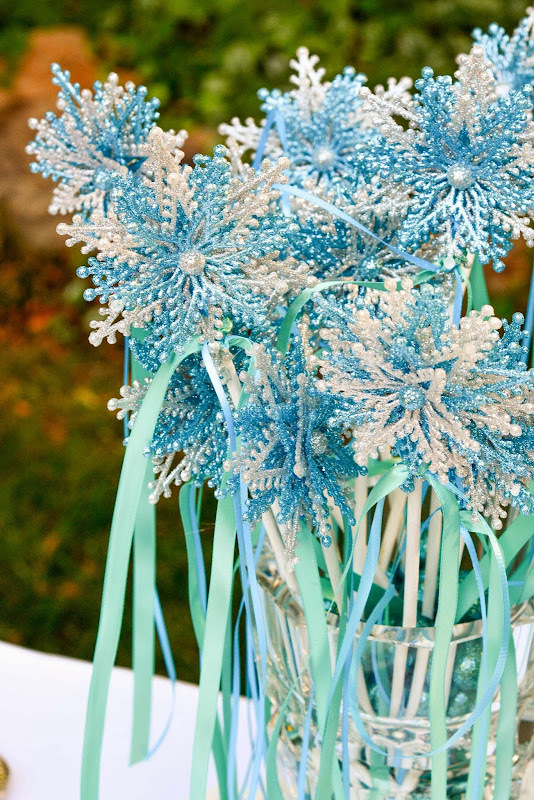 I used white, silver and aqua of course, and added some fringe, pressed glass "crystal," and snowflakes. 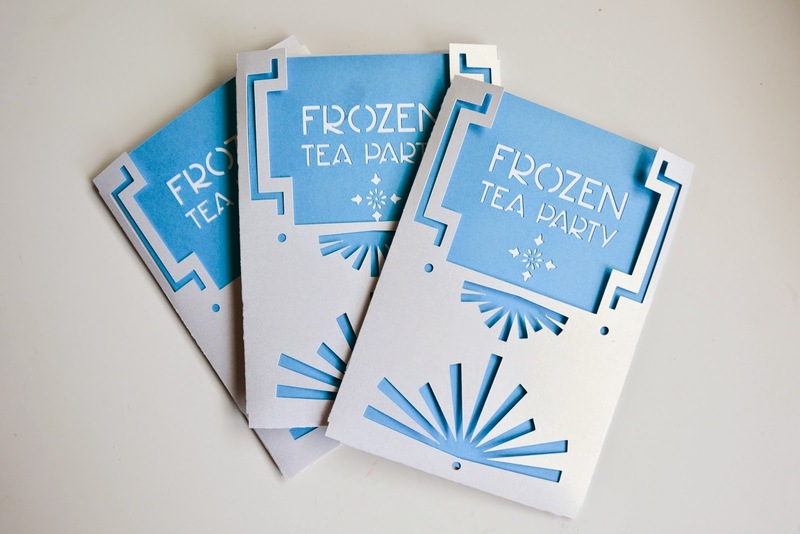 To make it a more interesting for myself I also tried to incorporate a bit of an Art Deco vibe, beginning with the invitations. 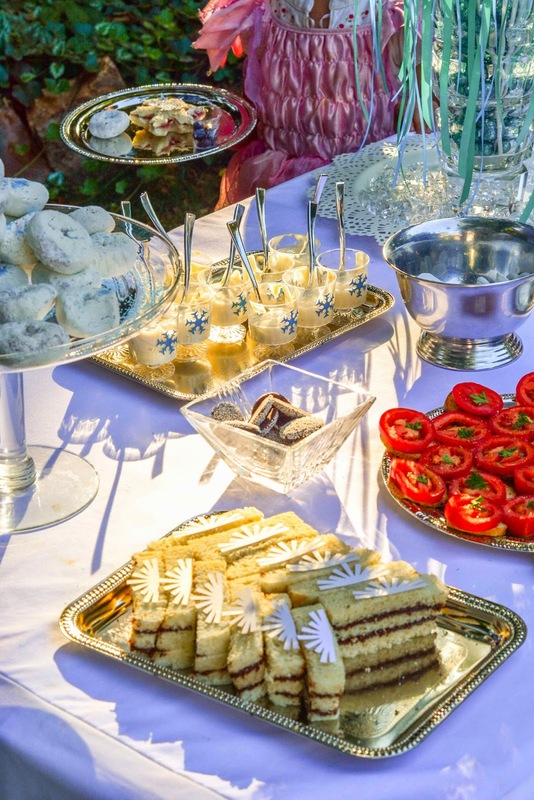 I have kept a set of mismatched pressed glass dessert plates for years and love using them, especially for birthday cake. 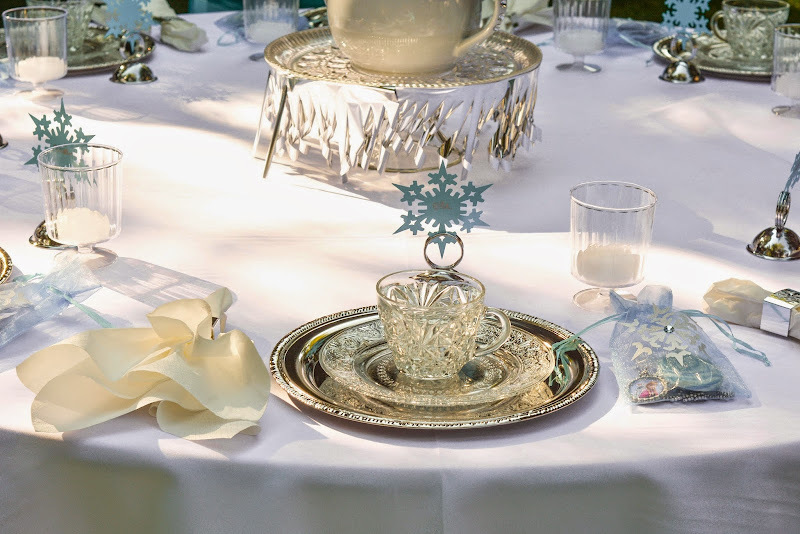 When I thought of pairing them with glass "teacups" (actually thrifted punch cups), and found these "silver" plates at the dollar store, I knew it would be the perfect place setting for our Frozen tea party. I punched out snowflakes from glitter cardstock, glued them to "silver" (plastic) napkin rings (also from the dollar store) and finished them with adhesive rhinestones. 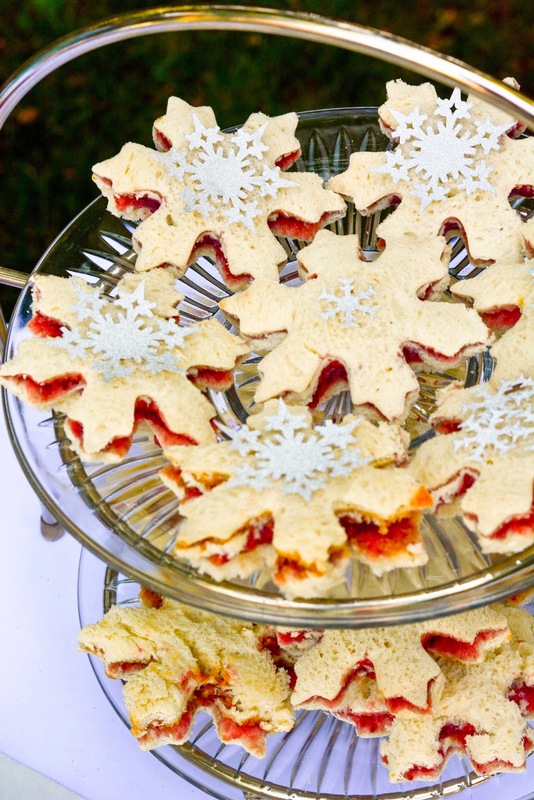 Fit for a princess, right? 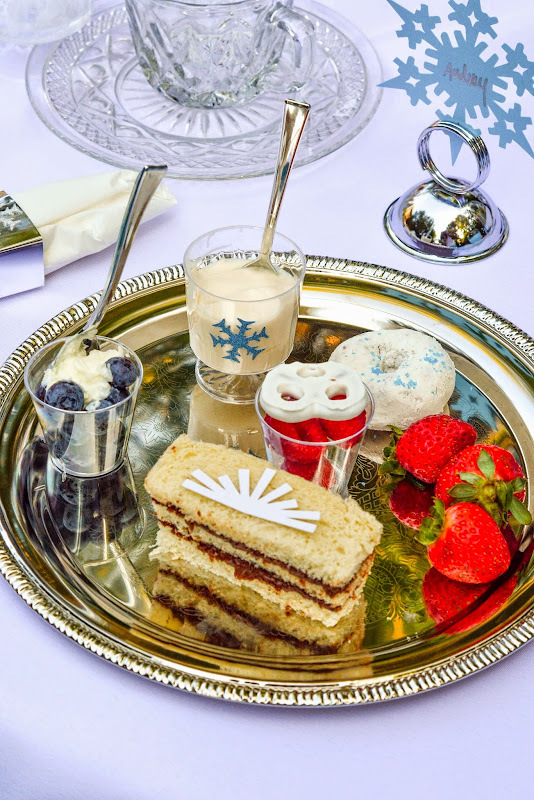 Then I set out to design a tea party menu inspired by the two-bite food of a classic tea party but friendly enough for our four through six year olds. I kept it pretty simple but it was still a lot of fun. 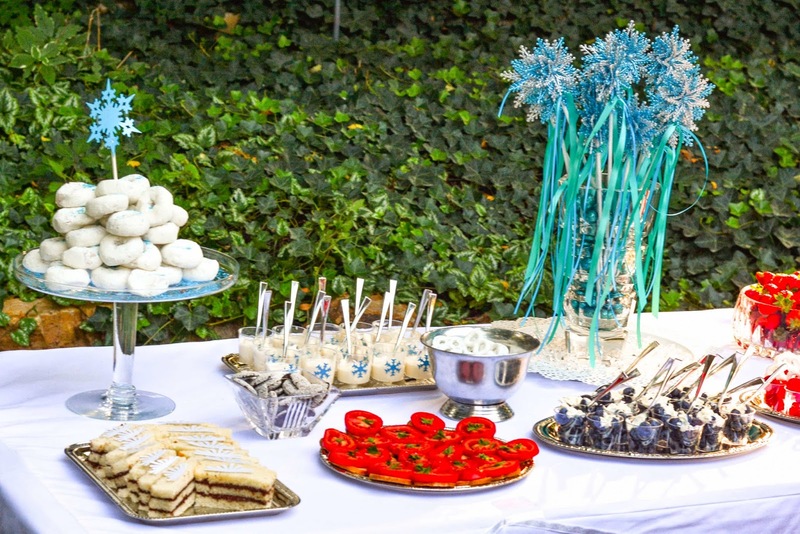 My favorite part was finding smaller "silver trays," miniature silver spoons and forks and individual serving cups (actually plastic shot glasses and mini plastic wine glasses) for setting up the buffet. We made snowflake-shaped strawberry jam sandwiches with snowflake cookie cutters and topped them with glitter paper snowflakes I cut with my Cricut Explore (get my .svg snowflake file here). 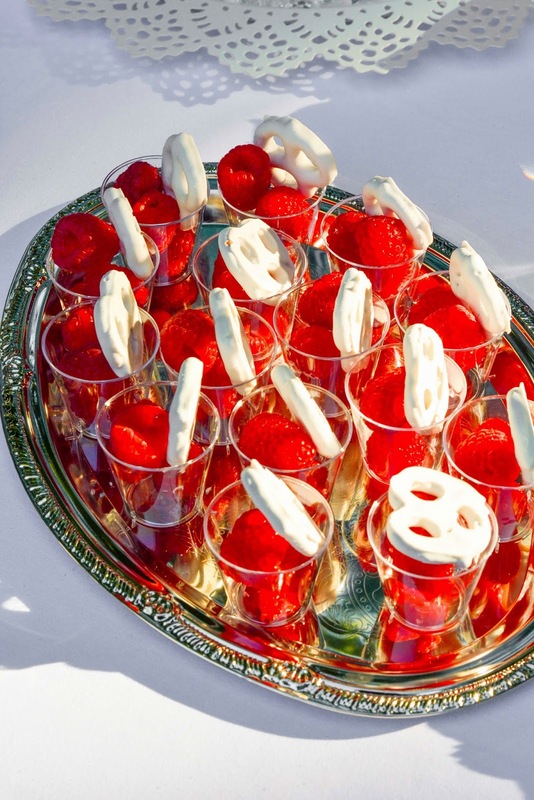 Filled small cups with fresh raspberries topped with a yogurt-covered pretzel. 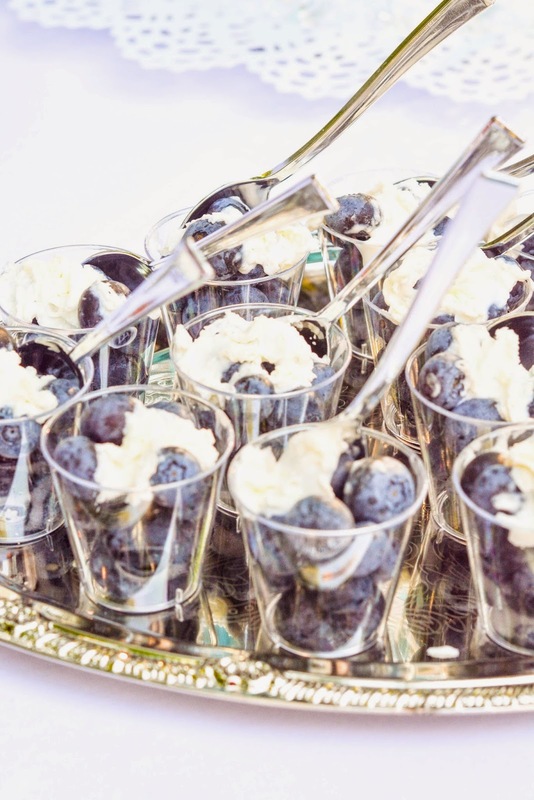 Topped fresh blueberries with whipped cream and a silver spoon. 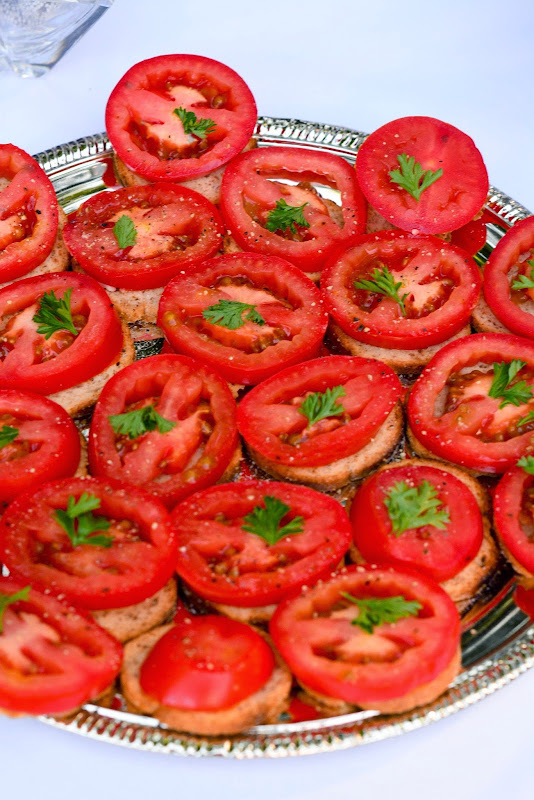 Created tomato toasts with melba rounds. 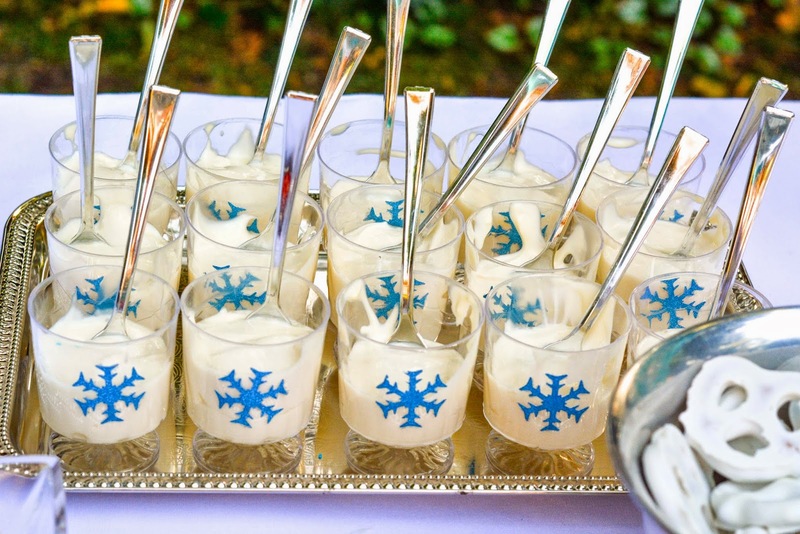 Spooned vanilla yogurt into footed cups decorated with snowflakes punched out of blue paper. 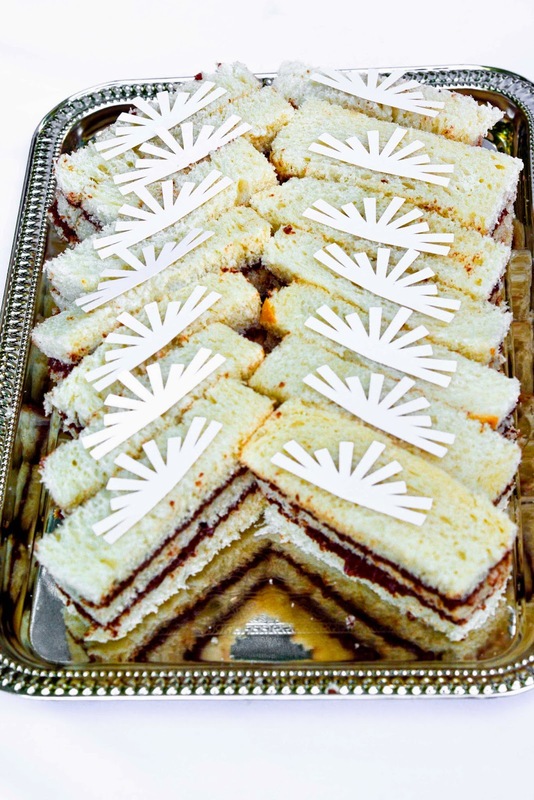 Created triple-stacked Nutella finger sandwiches with Art Deco fans leftover from the invitations. 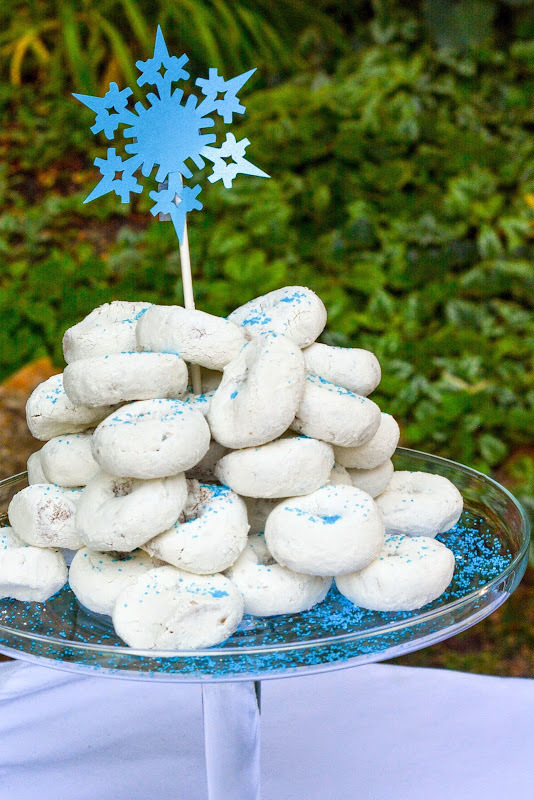 And, we piled miniture powdered donuts into a tower topped with a snowflake and sprinkled them with aqua dusting sugar. With all of that I totally gave out on the cake! 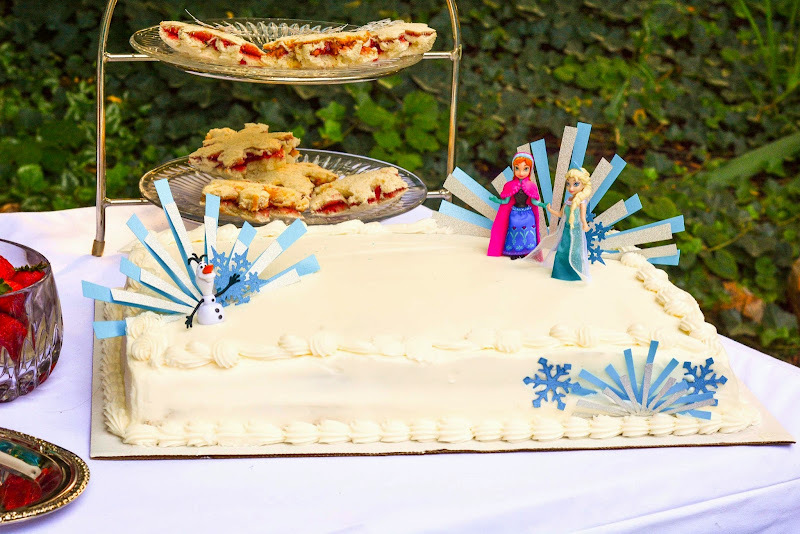 I purchased a white iced sheet cake from Costco and topped it with Frozen figurines, snowflakes and art deco fans in lustre papers. 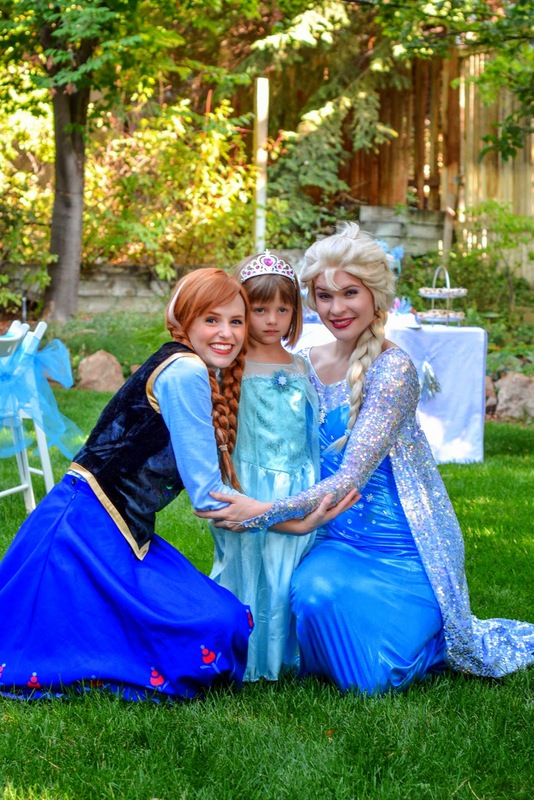 All the guests were invited to wear princess attire, which they did. It was adorable. And, one bonus I hadn't anticipated was that it made for nicely color-coordinated photos. 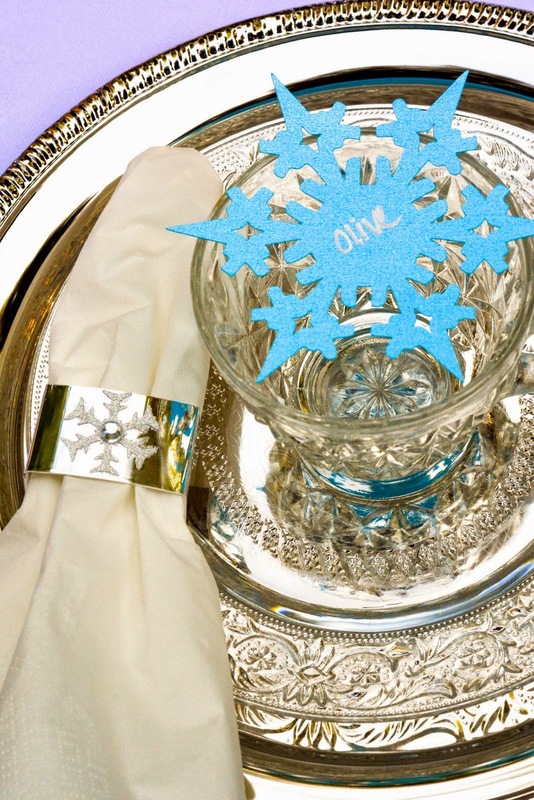 I used paper snowflakes (.svg snowflake file) cut with my Cricut Explore for placecards in silver placecard holders. Finding their places was definitely part of the fun. And the tea? Blue sports drink, of course. 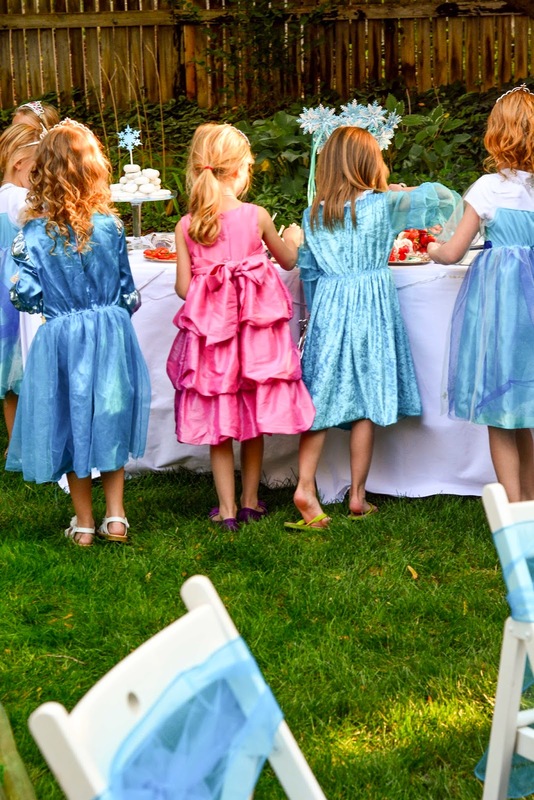 The girls loved the tea party. They had a great time picking out their favorites from the buffet. 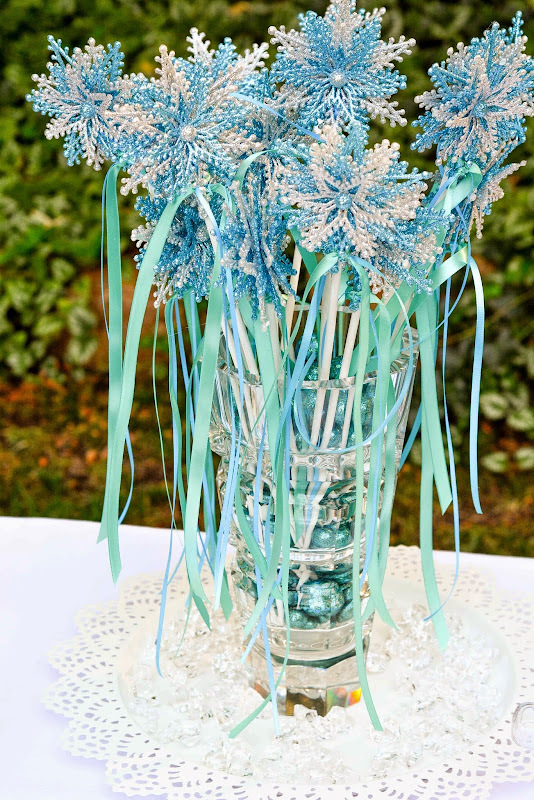 I made snowflake "Elsa" wands for each girl and placed the bunch in a tall crystal vase filled with aqua glitter balls as a centerpiece for the buffet. I set the vase on a punched white platter from IKEA onto which I scattered crystal "ice." This party didn't involve quite as much DIY as my typical birthday bash. I just didn't have the time. Thank goodness so many resources are available locally and online. 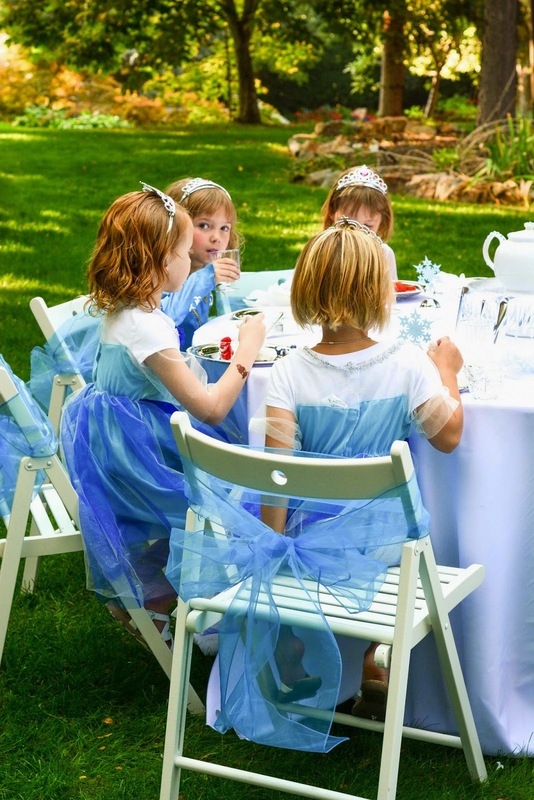 I borrowed round tables from a friend and ordered these white round tablecloths, and dressed up my white IKEA chairs with these blue organza bows. The bows were so much less expensive than I imagined, and a lot less work than sewing them myself! 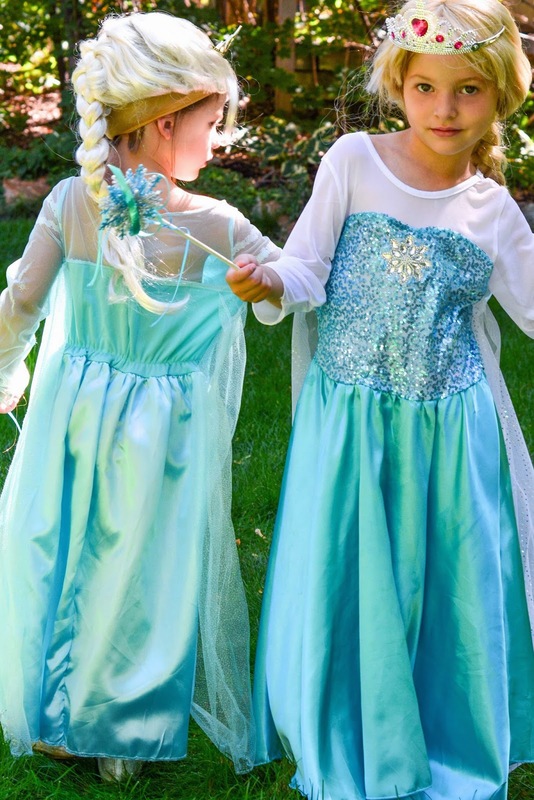 I had ideas about sewing the girls' Elsa and Anna dresses but it turned out they both wanted to be Elsa, and I decided to put my efforts someplace else and just buy them! I've realized it's not possible to do it all so I pick and choose. 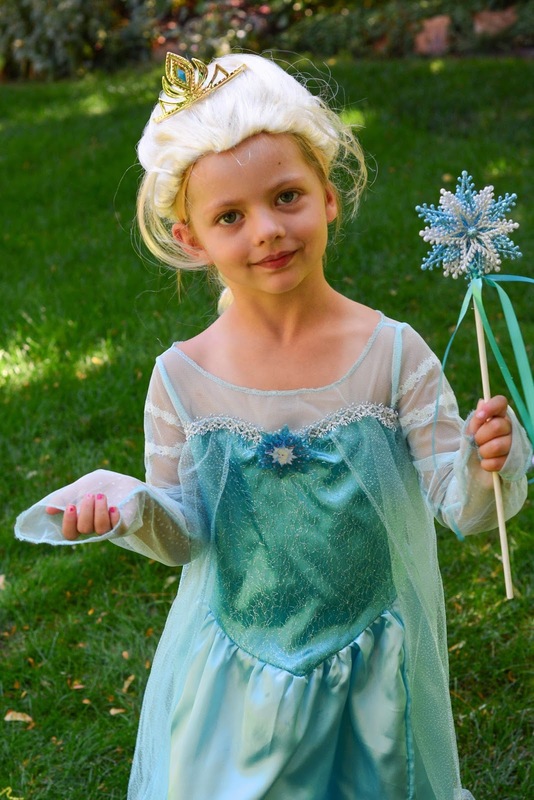 I purchased the Disguise Elsa costume for Tess (above) and the Butterfly Craze Elsa costume for Scarlett (below). 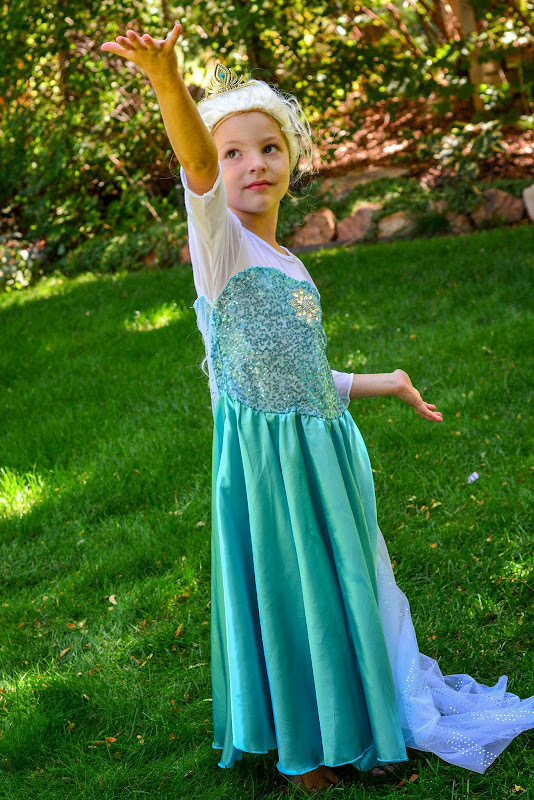 I had an Elsa wig (which runs a bit small) but at the last minute I had to find another so Scarlett wore also a Rapunzel wig (sized a bit bigger). 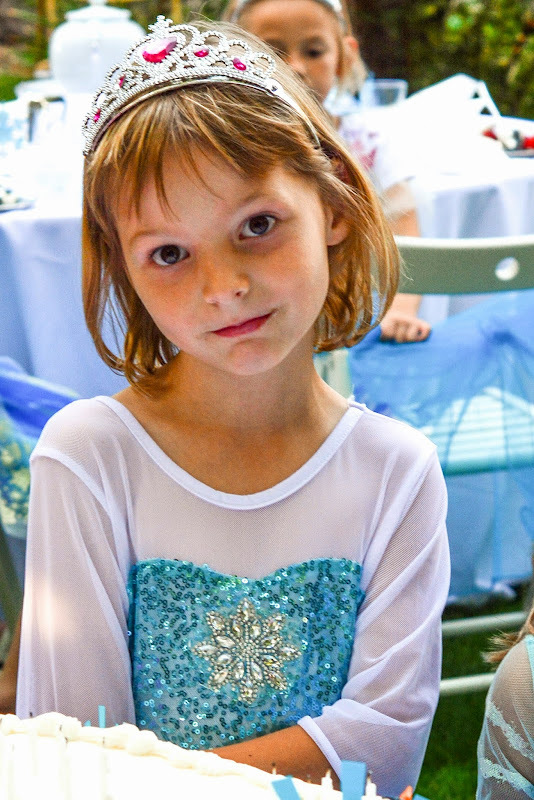 My own princesses really got the posing down! So funny. 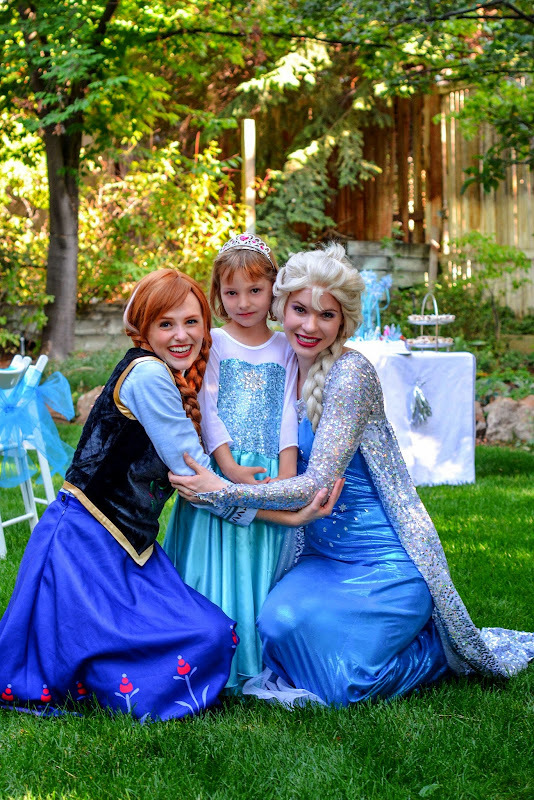 They had been observing the "real" Anna and Elsa who visited the party. This was the first time I combined the celebration for Tess and Scarlett and it worked out really well. 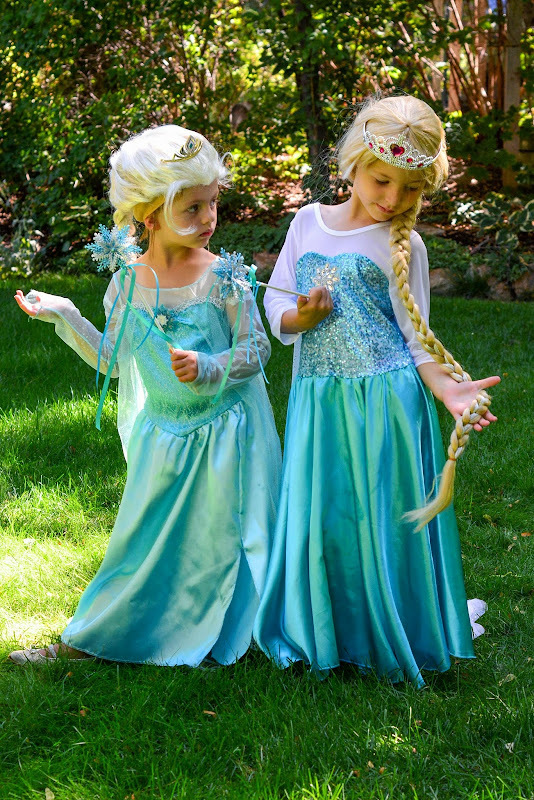 They are such good friends and loving sisters, similar to the sisters in the Frozen story. Hopefully it will stay that way. Family provides so many opportunities for acts of true love. It's my real life fairy tale. 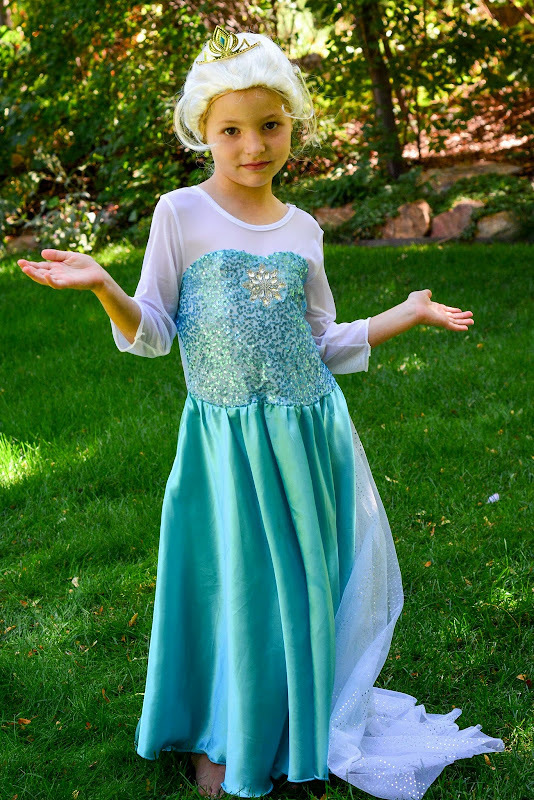 FYI, my party supplies are piling up so I've decided to package up and sell many of the things I procured for this Frozen party. I'll be posting info about it on my blog in the next few days if you are interested. 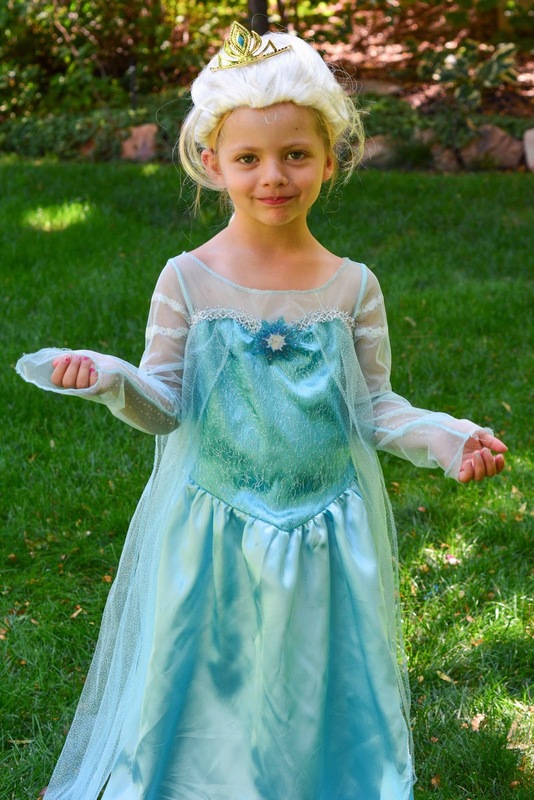 UPDATE: I'm selling my carefully curated supplies for this birthday party on eBay right now. 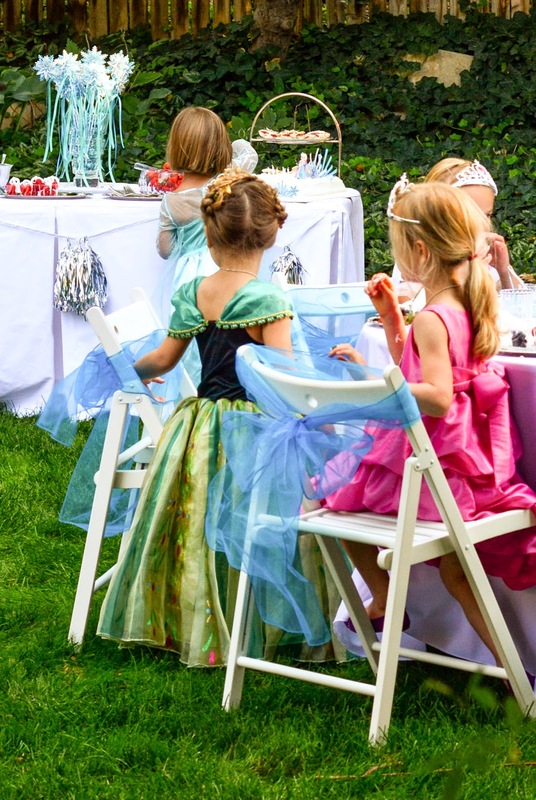 You can find a listing for party supplies for 8 guests and a deluxe set of supplies for 10 guests. Disclaimer: This post contains some affiliate links to products I have actually purchased and recommend. 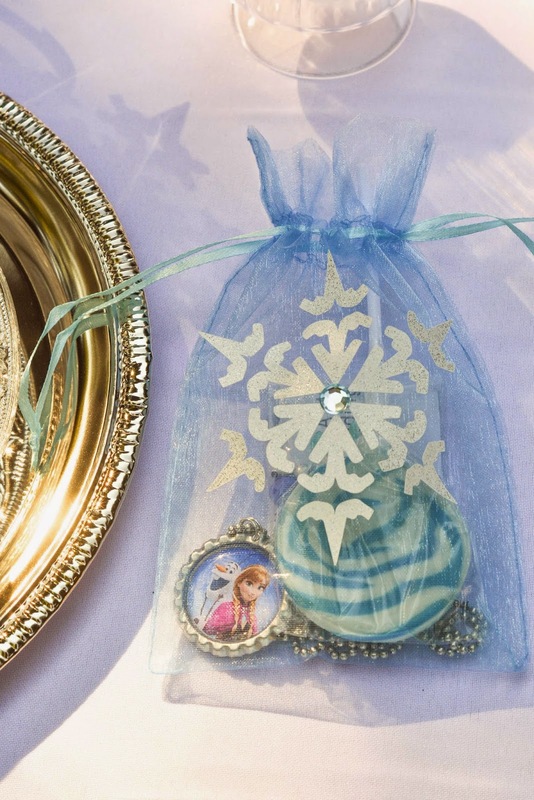 If you purchase a product from a link here I will receive a small commission to offset my blog expenses. Thanks. 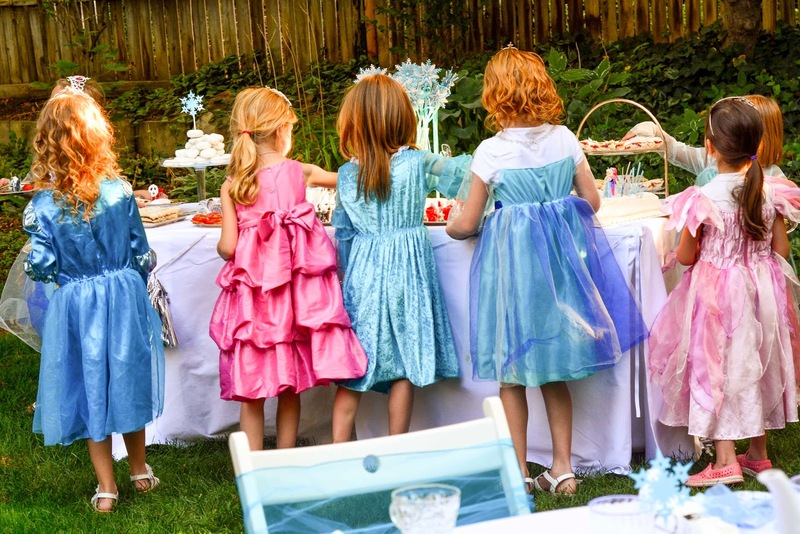 Your such a great mum organising such a fantastic party. 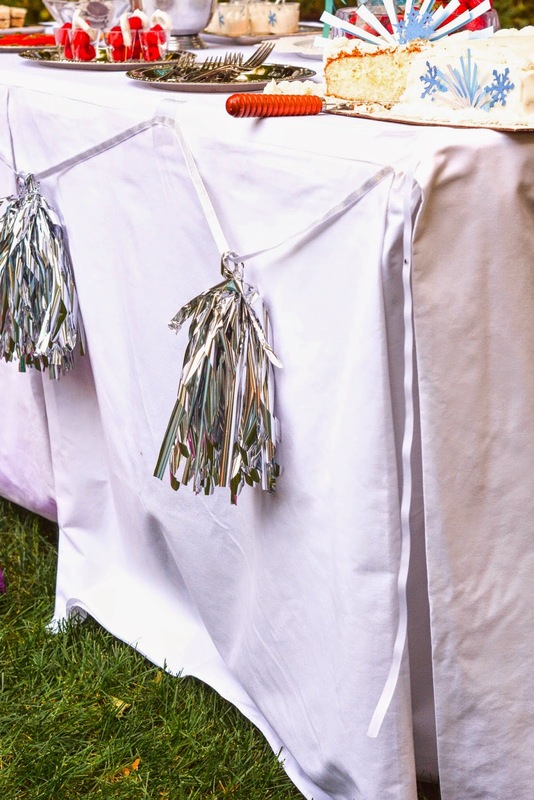 You throw the best parties! 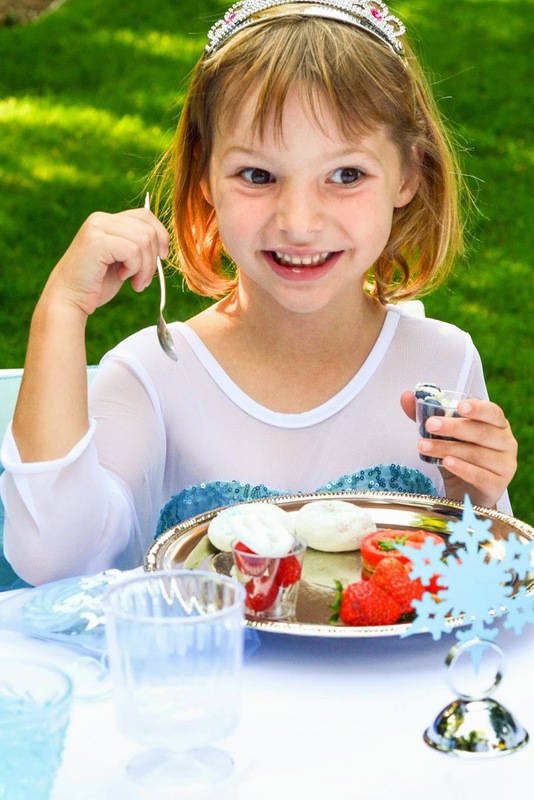 Love the pictures and how happy your girly girls are. Now I need a nutella sandwich. 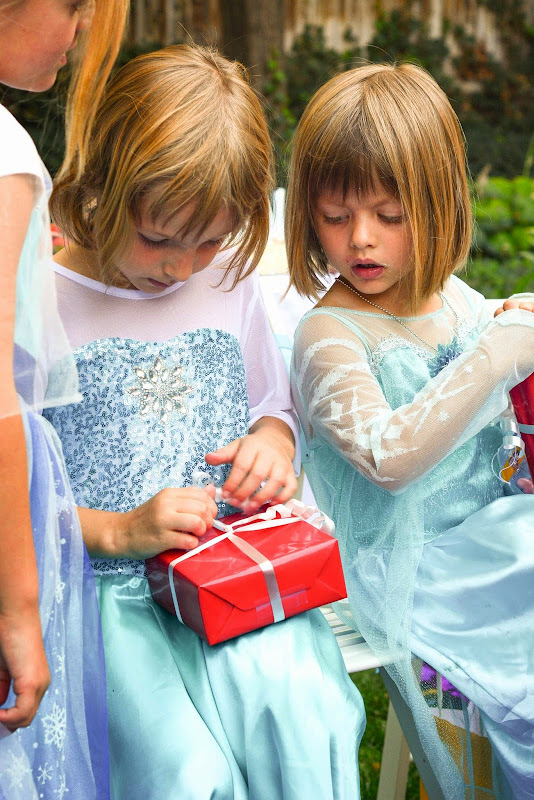 Un cumpleaños perfecto, me encanta que todo es del mismo tema, los niños disfrutan mucho con la fantasía y los amigos. 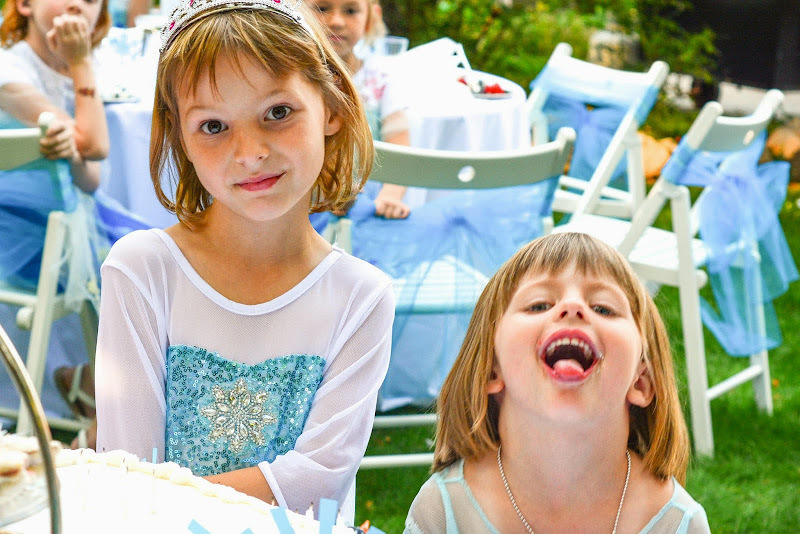 Los hermanos la mayor parte de las veces se quieren para siempre, yo también deseo que mis hijas nunca se separen y se ayuden en todo, siempre queremos lo mejor para ellos!! Besitos desde Sevilla. Ani. It looks like your girls had an amazing party. Great job! Yes, picking and choosing is the best way... life can get so crazy at times, no sense making it worse on yourself. Very pretty! 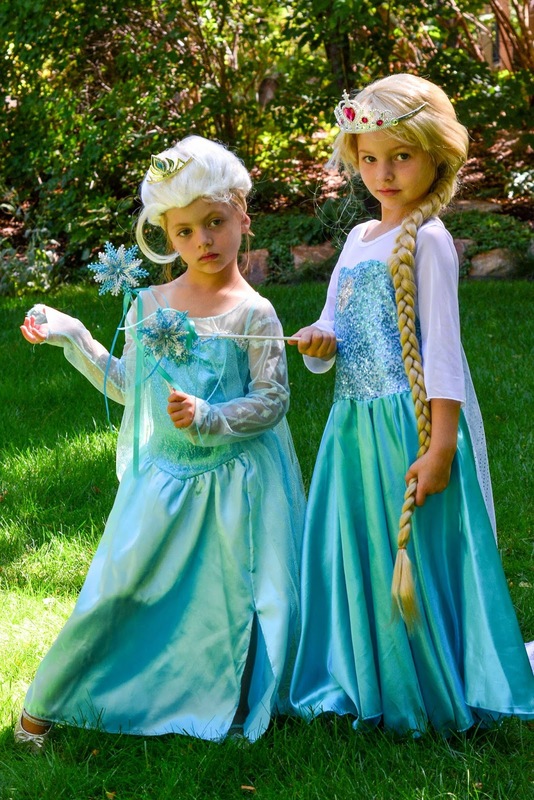 The girls look so different as blondes!! Glad the shared party worked out. Looks like fun! 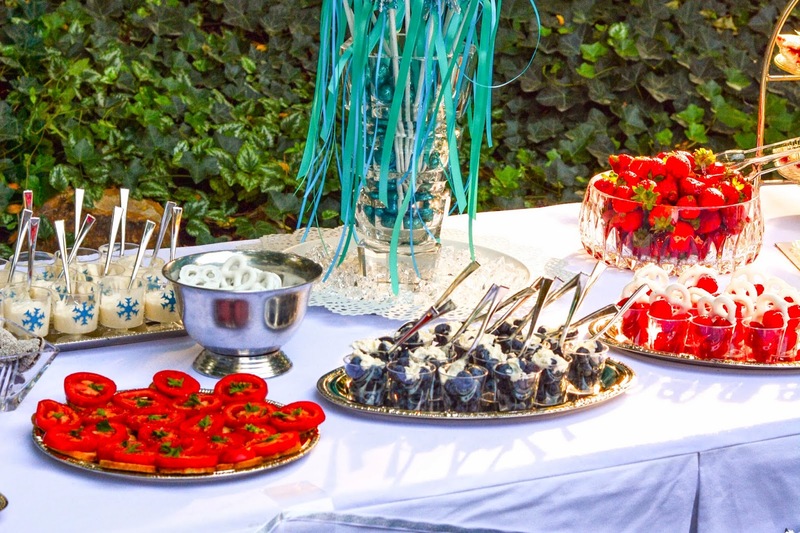 You always throw best parties! 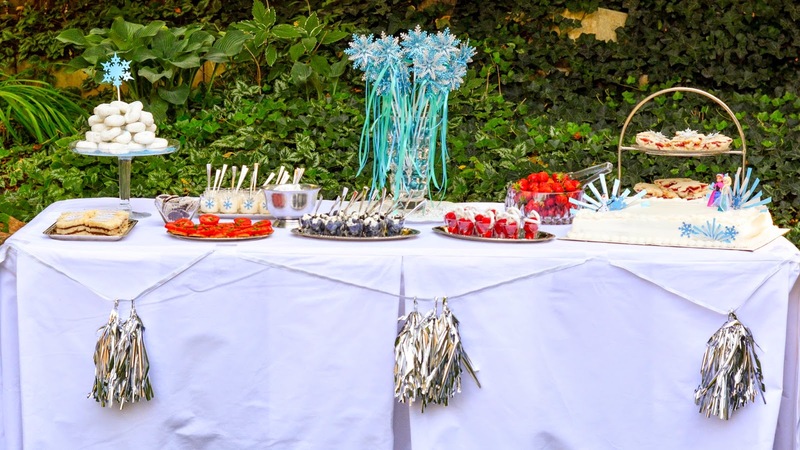 Whenever I have to throw a party I always look for ideas on your blogs. 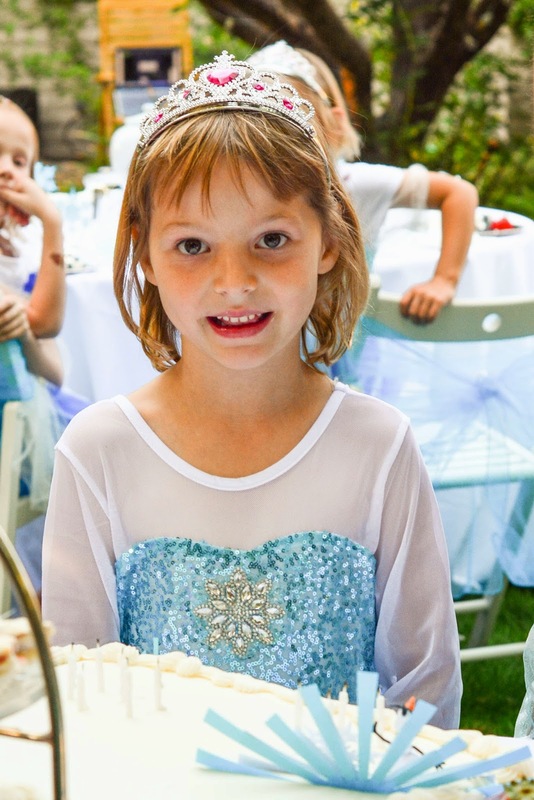 This frozen party tutorial is just amazing and very helpful for me as I also have to arrange the frozen party for my niece. 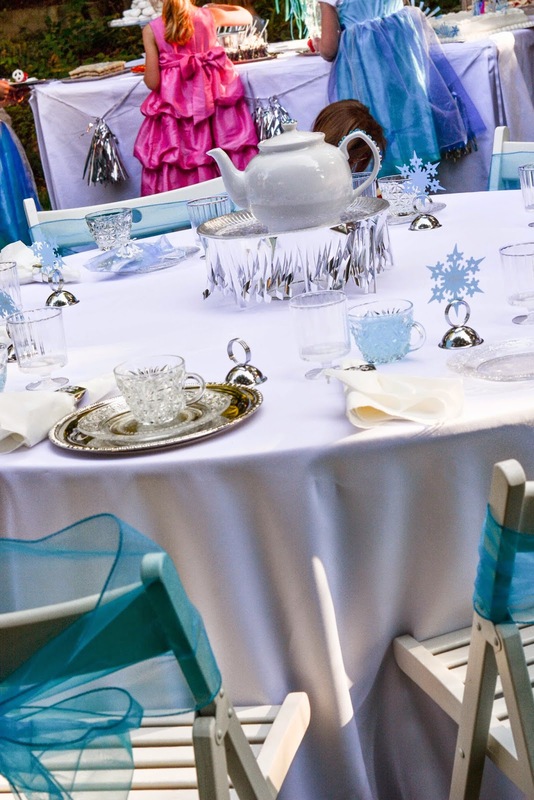 She wants to celebrate her birthday in this style at one of her favorite event location rentals. Thanks for the ideas!! FYI: In the Top 10 and Could Use Your Vote!